People often cite Apple’s iOS home screen as needing an overhaul, but the lock screen is a huge weak spot of the experience, too. Whereas on Android you can add widgets and quickly access apps and settings, on iOS you can only see notifications and launch the camera. It needs work, and a new patent filing suggests Apple is working on adding new functionality to address this. In addition to the familiar “slide to unlock” slider, users could rotate that bar upwards to reveal app icons so you can jump into them directly from the lock screen. This won’t exactly address the “at a glance” convenience of a lock screen widget, but it could implement a more elegant way to jump into your favorite apps. It’ll cut down on taps, and create a more seamless experience, not to mention add more functionality immediately upon waking/powering your phone up. 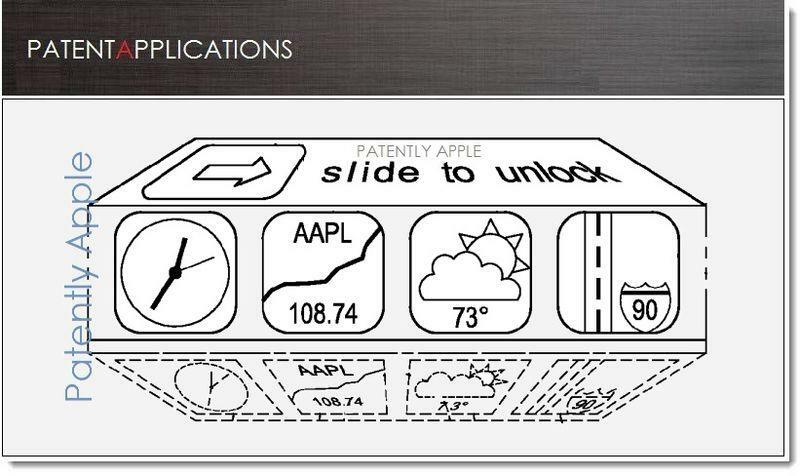 Of course, this being a simple patent filing, there’s no guarantee we’ll see functionality such as this implemented into iOS. We know Apple is working out to create a fresh new mobile experience, but what that entails is still unknown. Hopefully we’ll find out this summer during WWDC, where the company traditionally teases an early build of iOS’s next iteration.